Asthma sufferer in Kingston Upon Thames opts for Interior Shutters. Customers looking for a shutter shop to install made to measure interior shutters in their Kingston Upon Thames homes, often come to Shutterly Fabulous for their quotes, design advice and for the full measure and install service. Shutter installation can be a daunting prospect. Letting the experts take care of it really gives piece of mind that the end result will be a fabulous one. 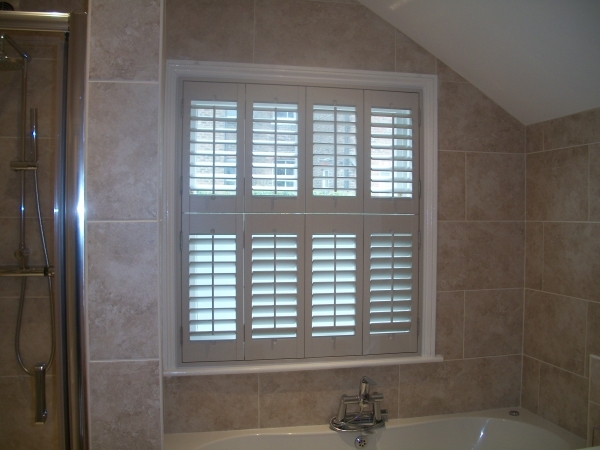 Here at Shutterly Fabulous we install made to measure wooden shutters across greater London and the Southeast and regularly in the KT1 and KT2 area. This customer in Kingston Upon Thames wanted made to measure interior shutters for their property as they had a daughter with severe asthma. Having wooden shutters fitted in their Kingston Upon Thames home, meant they no longer needed their existing heavy drapes, the large easy to wipe down shutter slats are much easier to control when it comes to their daughters’ asthma. Taking away triggers such as dust as the interior shutters with their smooth finish are easy to wipe down. Shutterly Fabulous always try to promote the benefits of wooden shutters, such as they are easy to wipe down, which reduces the chance of allergy sufferers having their allergies triggered. The easy to wipe down surface, means that once the made to measure wooden shutters are wiped down, any house dust gets wiped away. Heavy drapes or curtains become dust traps and unless they are cleaned regularly (which can be expensive) they are manufactured in wood which is a natural insulator which helps to reduce draughts.